What is it? Besides collecting nectar from flowers, bees select only those pollens that contain the greatest amounts of protein and other nutrients. 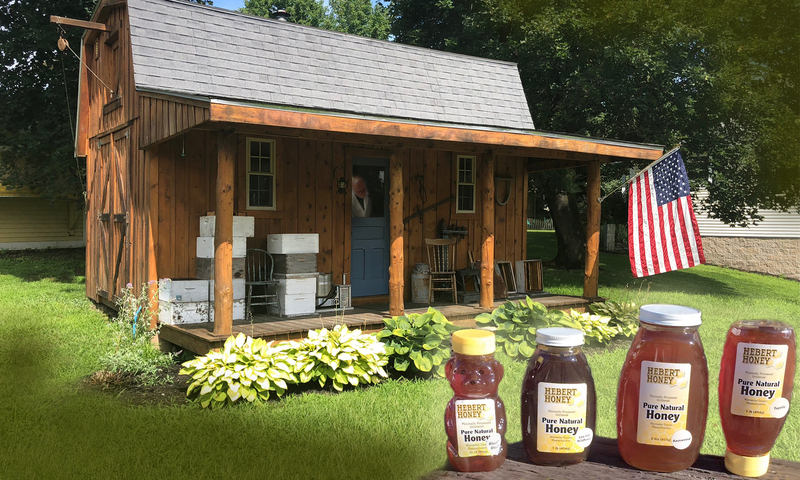 The bees mix them with nectar and use them for food for their young and themselves. What does it do? 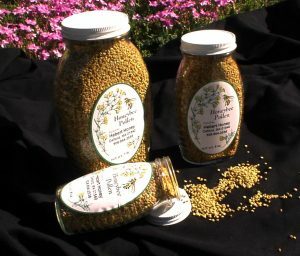 Bee Pollen contains much more protein per ounce than any other natural food. It also contains a wide variety of other nutrients. Bee pollen seems to supply something that some stressed young and aging people need. It is used to retard hardening of the arteries and to strengthen the circulatory system. It is used to combat the symptoms of illness and allergies. It is believed to regulate the function of the endocrine system. When eaten with meals it is believed to aid digestion. It also lessens women’s menstrual cramps. It is believed to reduce stress and increase alertness and stamina. Olympic and other athletes use pollen as a low calorie protein source and as a quick, yet sustained source of energy. A very few people are allergic to bee pollen. It is suggested that people start taking small amounts of Bee Pollen and gradually increase the amount until they are taking one to two teaspoonfuls daily. If allergic symptoms occur, temporarily decrease the amount taken. Soon the symptoms will disappear. What does it taste like? Bee Pollen looks like tiny yellow, tan, orange and brown balls. It varies in taste depending on the plants, flowers, trees, shrubs and grasses from which it comes. It has a sweet nut-like, natural flavor. It can be eaten alone and chased with water or mixed in a smoothie or put on cereal (hot or cold). What does it contain? Pollen will have differing amounts of nutrients depending on its source. It contains essential amino acids, antioxidants and enzymes for all around good health and nutrients to build the immune system to help make you immune to the pollen in the air. Still the best price around! Put one into the jar and store the other in the freezer. Save on postage.